The Collegiate Marching Band Festival, an annual showcase of bands in the Northeastern United States, will be held this year on Sep. 29 at J. Birney Crum Stadium in Allentown, Pa. 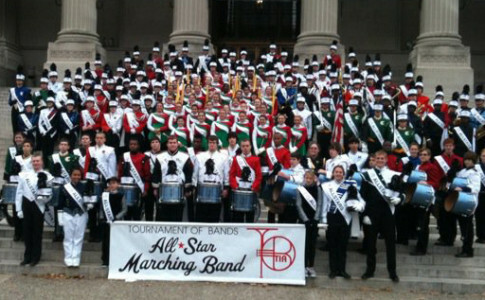 This year the event will feature 23 collegiate marching bands, all of different sizes and styles. Although not a competition, it is one of the few events for students and marching band enthusiasts to see more than two collegiate marching bands perform at once. “It’s really cool to perform for other people that appreciate and understand what it is you’re doing and are as excited about it as you are,” says Courtney Beard, Vivace program coordinator. Proceeds from the event go back to the participating bands, which include Boston University, the University of Massachusetts (UMass) Amherst, Rutgers University and West Chester University, among many others. “I wanted to create a program where proceeds were returned to the bands to help cover their travel expenses and a venue that showcased the variety of programs in our region,” Villella says. Find out more or buy tickets at www.vivaceproductions.com.